Multiprotocol Label Switching (MPLS) is a wide area networking standard for high speed communication networks which directs data from one computer to another between short path labels rather than long network addresses. 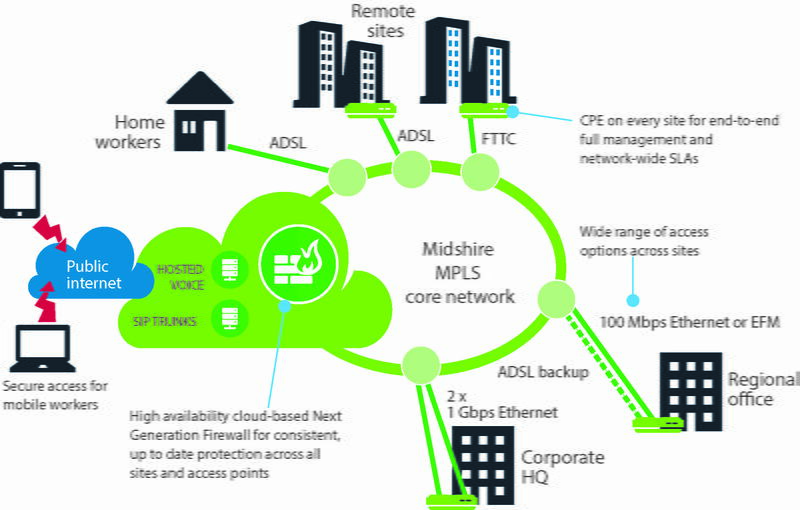 With our own core network, Midshire uses MPLS, to provide our customers with site to site connectivity, essentially creating their very own bespoke private Wide Area Network (WAN). With Midshire MPLS, we can ensure to keep your business traffic segregated whilst providing cost effective, voice and data services from within the Midshire core network. 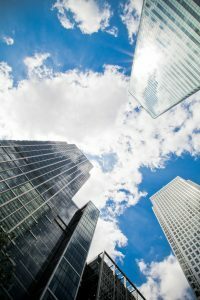 Midshire MPLS networks can give remote workers and individuals the flexibility to float between numerous company locations and still gain access to central servers, services and applications hosted at a centrally located site. Midshire can offer a number of various circuit types, each providing businesses with cost efficiencies, capacity, delivery and service level benefits. MPLS Layer 2 (Point to Point) is for companies that have a requirement of high bandwidth between a number of small to medium office or sites. It is the most cost effective way of connectivity in comparison to the more expensive high bandwidth leased line. An MPLS Layer 2 is a type of Virtual Private Network (VPN) which segregates the circuit in order for businesses to transfer data over an IP Network. MPLS Layer 3 IP/VPN is particularly suitable for large multi-site organisations. A good example of this would be retail outlets where there are a high number of individual branches requiring low bandwidth, supported by a central head office. This type of service is suitable for businesses that require quick data transfer between sites instead of overloading the central network at head office. This is the most suitable and cost effective solution for businesses requiring low bandwidth in comparison to Ethernet circuits for each individual branch.